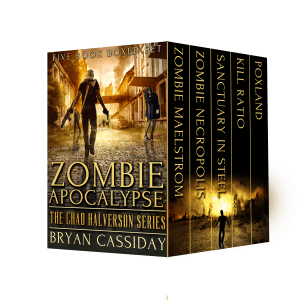 Zombie Maelstrom, the first book in Zombie Apocalypse: The Chad Halverson Series is a hair-raising audiobook available at Audible.com. Is the new Criterion Blu-ray edition of George Romero’s Night of the Living Dead worth purchasing? I’m of two minds on this question. Part of the eerie charm of the original edition is its low budget–its grainy black-and-white film, cheap sets, tinny music, and actors nobody ever heard of. The Criterion edition attempts to enhance the cheap black-and-white print with Blu-ray technology. But do we really want it enhanced? Doesn’t enhancement take away part of the sinister charm of the grungy original? On the other hand, it’s good to see that the movie is getting the attention it deserves from its groundbreaking reenvisioning of the zombie as a flesh-eating creature that feeds on living humans. Before this movie, zombies lumbered around with their eyes bugging out of their heads, looking spooky, but they were harmless. They were the walking dead without a bloodthirsty appetite, as in Bela Lugosi’s White Zombie. Then along came George Romero and the invention of the modern zombie in Night of the Living Dead. And the zombie was forever changed. It has now become identified as the monster that is the most terrifying threat to humanity, much more terrifying than vampires and werewolves. 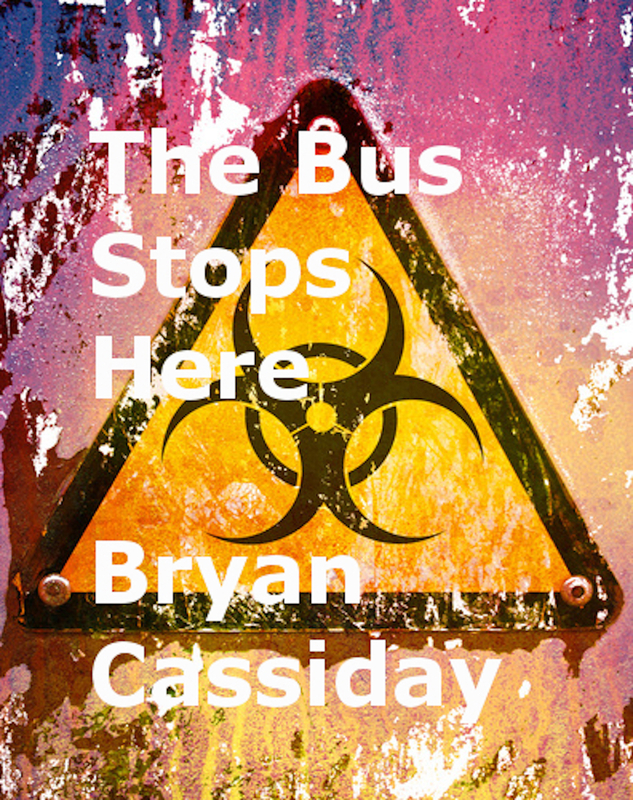 Interview with Bryan Cassiday, author of Zombie Apocalypse: The Chad Halverson Series. 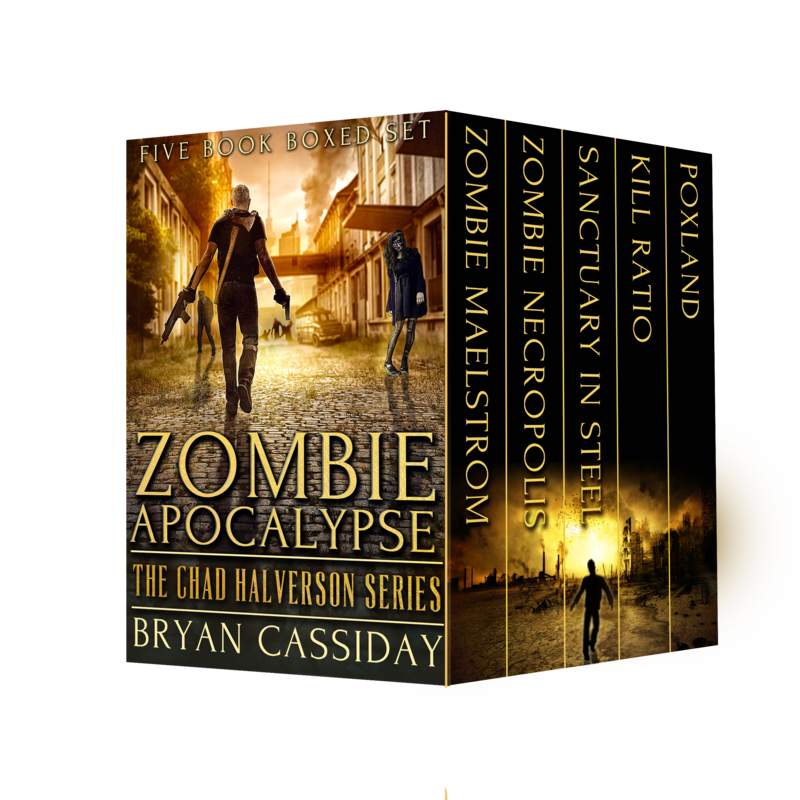 The five-book boxed set contains the complete and unabridged editions of Zombie Maelstrom, Zombie Necropolis, Sanctuary in Steel, Kill Ratio, and Poxland. I: When did you first start writing zombie books? BC: In 2011. The first zombie book I wrote was Zombie Maelstrom. Publisher’s Weekly did a hatchet job on it when it first came out, but that did not deter me. I wrote four more zombie books. I: Do you plan on writing more zombie fiction? BC: I have recently written zombie short stories. I haven’t written another zombie novel in a while. I: Are you going to write another one? BC: I haven’t made up my mind on that. I hadn’t planned on doing another one, but I might change my mind. It would depend on whether there was any demand for one. I: What do you want to accomplish as a writer? BC: I want to take you out of your comfort zone. You know that commercial where the advertiser wants you to be comfortable in your own skin? Well, I don’t want you to be comfortable in your own skin. I want you to squirm. George Romero is dead. He pretty much invented the zombie grindhouse flick with his Night of the Living Dead. The modern zombie story wouldn’t be thriving today without Romero. Zombies were lumbering oafs in the movies like in White Zombie before Night of the Living Dead came along. Essentially harmless unless commanded to do evil by someone like Bela Lugosi, they lumbered around with dead eyes. They lumbered around in Night of the Living Dead too, with one important difference–they had developed a taste for living flesh, especially the human kind. But they weren’t picky; they ate living bugs, as well. Their evolution into flesh eaters made them the horrifying creature that they are today in movies and books. 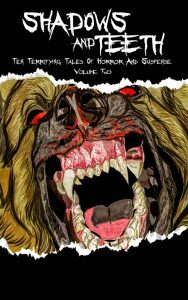 Bryan Cassiday’s horror story “Boxed” is included in the new anthology Shadows and Teeth Volume Two. Don’t miss it. Prepare for extreme horror. 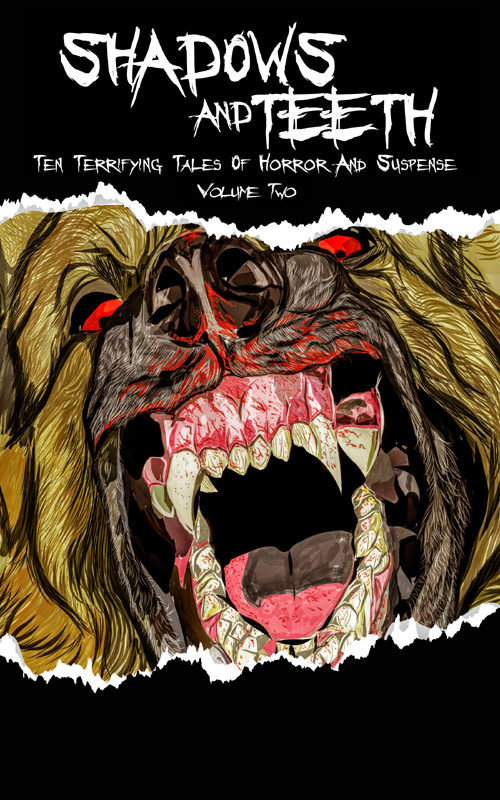 This unique collection of ten stories features a range of international talent: award-winning authors, masters of horror, rising stars, and fresh new voices in the genre. Take care as you reach into these dark places, for the things here bite, and you may withdraw a hand short of a few fingers. In “Boxed,” a group of strangers trapped in an elevator run short of time and bullets as they attempt to discover who among them is infected with a deadly plague. Buy it now at Amazon.